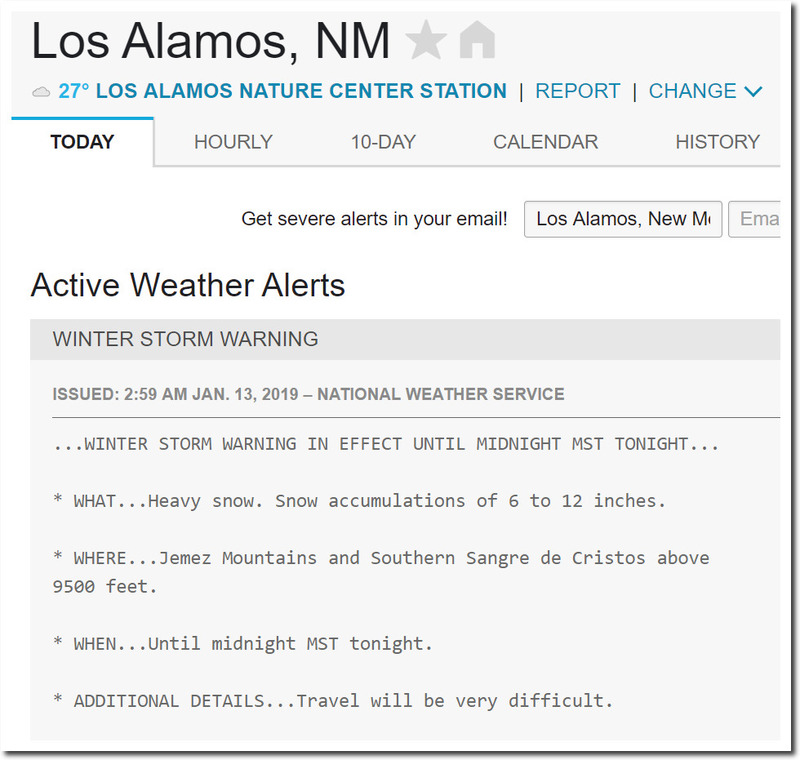 I was planning on driving to Los Alamos yesterday, but global warming forced me to postpone my travel. They have had nearly three feet of snow in the past month and are expecting another 6-12 inches today. 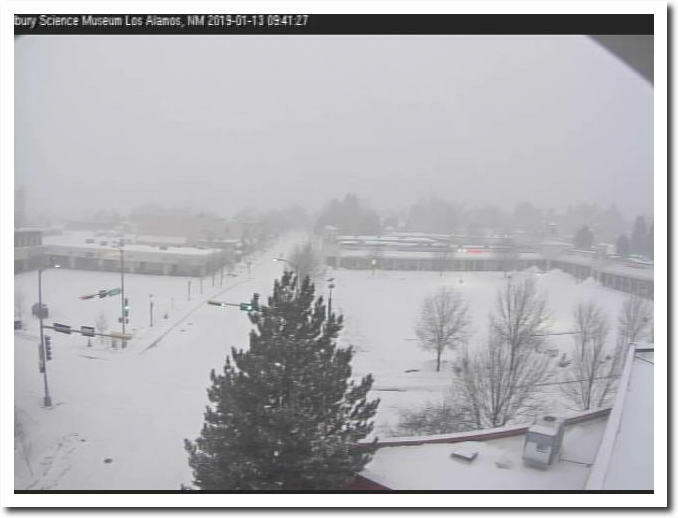 In their effort to save New Mexico from global warming, progressives have succeeded in creating widespread wildlife habitat destruction. The Renewable Fuel Standard is a federal program meant to combat climate change by diversifying our alternative fuel portfolio. Unfortunately, the program has not lived up to this original mission — only fuels from corn ethanol have seen successful production levels, cropland conversion has caused widespread habitat destruction, and it has failed to curb climate impacts. I wondered where the snow went. Here in Cayuga, Ontario, there’s nothing, but there have been freezing temperatures. Current forecasts notwithstanding, as of Jan 12 Bureau of Wreckthenation has most of the four corners ~80% of normal snowpack with the exception of SdC and Pecos. 7 inches in the past 12 hours at Dulles Airport. The Swamp is currently a winter wonderland! Local ski resorts will be packed tomorrow with all the shutdown Gov’t workers. New Mexico has bore the brunt of the long-term drought in the desert Southwest as it relates to the perpetually low water levels in the Elephant Butte Reservoir. 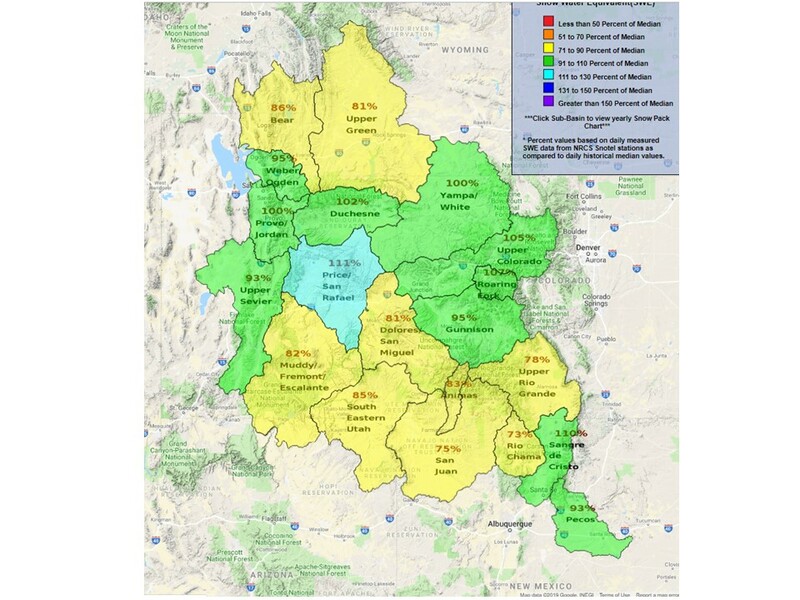 It’s nice to see that the mountains of the state are getting a good walloping of snow cover this year so that with any luck, the spring meltwater can help refill not just that one but many of the other smaller reservoirs and rejuvenate the overall regional groundwater table. I just finished reading the book “The Worst Hard Time” by Timothy Egan, about the Dust Bowl years – before, during, and after. Much of the story is from the most western county in Oklahoma, Cimarron, and the town Boise City. Next prominent in the book is Baca County, CO, to the north. South is Dallam Cty, OK; and west is Union County, NM. Los Alamos is 220 miles southeast of Boise City, OK. Most of us of a certain age learned of the Dust Bowl with emphasis from the book “The Grapes of Wrath” by John Steinbeck. The book is characterized as a “realist novel” and, in addition, begins in eastern Oklahoma but immediately heads to California. Thus, there is a near-total difference between the two books. In an Epilogue, Egan brings the story forward to about 2004. There is an echo of the destruction of the land of the Dust Bowl. Umm, that’s impossible, because everyone knows that “Snow” is a thing of the past ! The Reverend Al (666) Gore………. Three feet of snow is consistent with global warming. As would be a Laurentide Ice Sheet. I reckon there is no weather event that would disprove the global warming hypothesis to these people. This will be fun to watch if you live far enough from there.